Exercising on a Precor AMT - adaptive motion trainer - is like running and climbing on air! There is no track or ramp that guides your motion, it is up to you what shape the motion is and you can change it anytime you want, simply by moving your body to change your stride shape. There are no mechanical changes needed or console buttons to push. The AMT® goes from short to long strides, walking to running, and climbing to lunging. Users can change their workouts smoothly, easily, and spontaneously, just by moving naturally.The motion can instantly be like stepping, cycling, elliptical, climbing, jogging, running or anything in between. It is very smooth, no impact, bio-mechanically correct and fun! Your perceived exertion is lower that running on a treadmill or using the elliptical, but you are actually burning more calories! Give us a call or send a quick email with any questions you have or to set up a demonstration. Thank you for considering FitLine Fitness Equipment. The streamlined P10 console provides all the essential features with a premium feel and better value entertainment options, ensuring users a rewarding workout that complements active lifestyles. 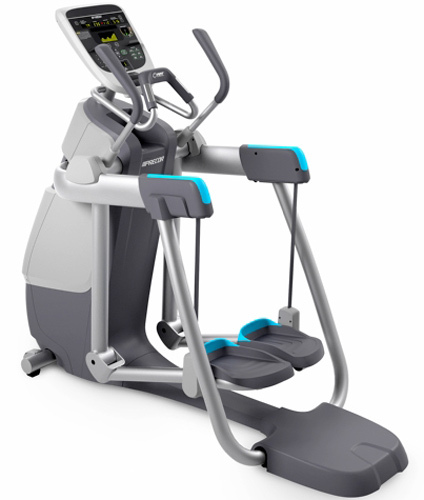 The innovative and premium design of the Adaptive Motion Trainer® (AMT®) 813 now has a longer stride length and fixed height to provide exercisers of all fitness levels with a wider range of motions during workouts. 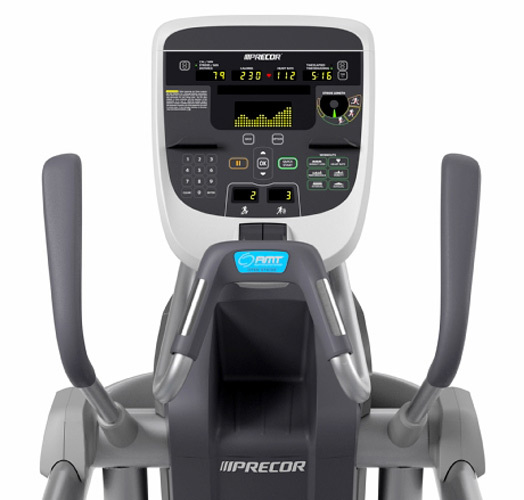 The Precor AMT 813 intuitively responds to users' natural motion, allowing them to adapt their stride length for a comprehensive cardio workout - all without so much as the push of a button. 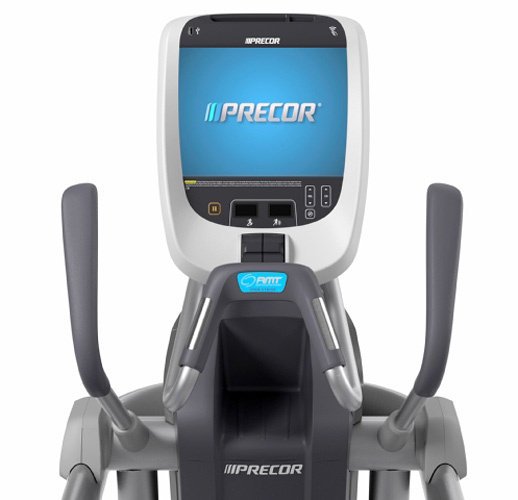 The innovative and premium design of the Precor Adaptive Motion Trainer® (AMT®) 833 now has a longer stride length to provide exercisers of all fitness levels with a wider range of motions during workouts. The AMT 833 intuitively responds to users' natural motion, allowing them to adapt their stride length for a comprehensive cardio workout - all without so much as the push of a button. 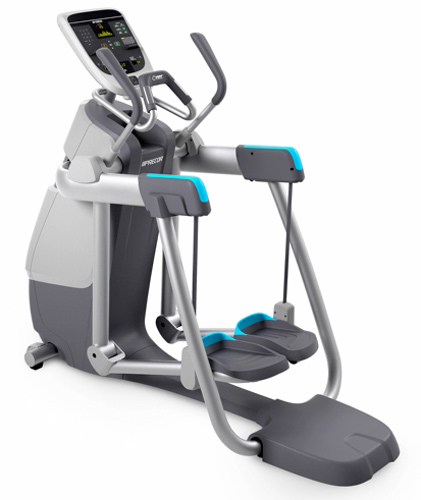 The innovative and premium design of the Adaptive Motion Trainer® (AMT®) 835 takes fitness to a whole new level with the addition of the Open Stride™ feature. This single piece of equipment fully engages exercisers of all fitness levels with an infinite range of stride paths to create a uniquely effective low-impact workout, making every workout a personalized experience. The AMT 835 provides exercisers boundless cardio variety without the need to change machines. The innovative and premium design of the Precor Adaptive Motion Trainer® (AMT®) 885 takes fitness to a whole new level with the addition of the Open Stride™ feature. This single piece of equipment fully engages exercisers of all fitness levels with an infinite range of stride paths to create a uniquely effective low-impact workout, making every workout a personalized experience. The AMT 885 provides exercisers boundless cardio variety without the need to change machines.